Weaving together my life as a maker and what’s happening in other spheres of life. Reading:: Post Traumatic Church Syndrome: One Woman's Desparate, Funny and Healing Journey to Experience 30 Religions by her 30th Birthday. Well, that title says it all. This one was recommended by a friend. I was hesitant at first, but I'm definitely enjoying it. The author is so vulnerable and yet downright hilarious - an unusual combination. Rachel Switzer is the creative spirit behind Cape Code Shibori. With needle and thread, she cleverly stitches her base cloths and dyes them in small batches to produce unique, artisan Shibori fabrics. Made by hand in Cape Cod, Massachusetts. Following:: Saija via Instagram. 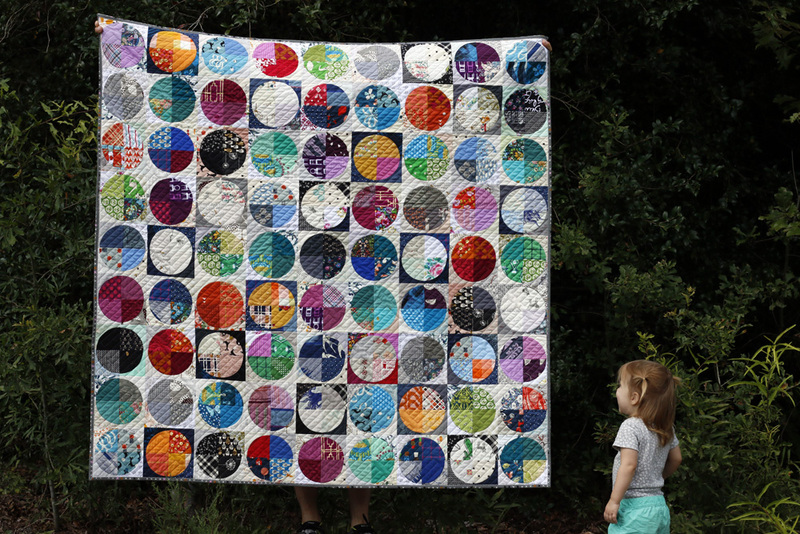 Saija is a prolific quilter from Helsinki, Finland. There's always something new and inspiring in her colorful Instagram feed. This snapshot of her pincushion collection gives you a hint of her style. Anticipating:: The start of the holiday season. For our family, October kicks off a crescendo of year-end celebrations. It's time to plan for our annual Harvest Party. Last year was a Harry Potter theme. I don't think we can top that, but we'll have a good time trying! After that it's Aria's birthday, Rora's birthday (she’ll be turning two! ), Thanksgiving and Christmas. I love any excuse for a party!